Whenever we formulate a product we try to solve a problem we, somebody from our family or one of our friends has. We always aim for high quality and great efficiency to help others. Whenever our products are praised by our clients we feel proud. When somebody professional praises them we are ever so proud. 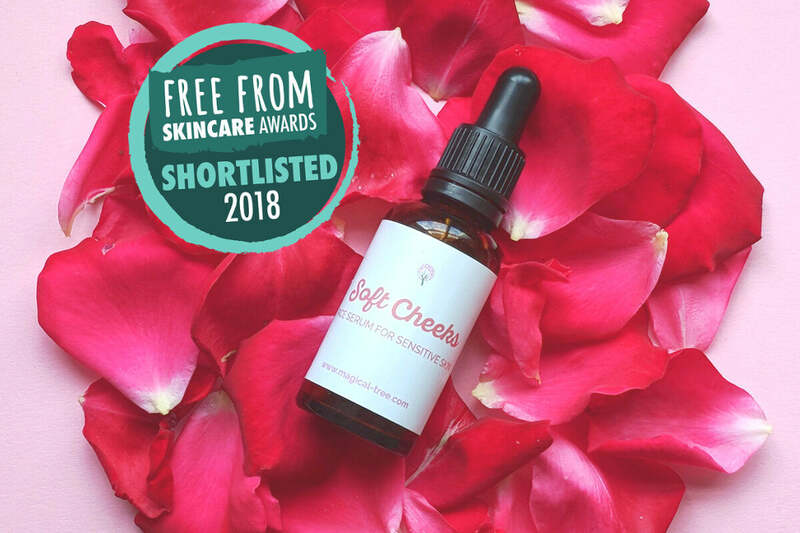 Having our Soft Cheeks face serum for sensitive skin shortlisted at the prestigious Free From Skincare Awards 2018 makes us very happy and we feel that our work is meaningful. The Free From Skincare Awards was started in 2012 to encourage and reward manufacturers of skincare products that are ‘free from’ many of the allergens, ingredients, additives and artificial fragrances associated with skin sensitivities, health concerns, as well as ethical, personal and environmental issues. This year almost 200 products from over 100 brands have made the shortlist of the seventh annual Free From Skincare Awards. We are extremely proud to have our Soft Cheeks face serum for sensitive skin selected by the judges. We created it as a blend that can soothe, soften and support the skin in the most gentle way and we chose ingredients which may be beneficial for skin that easily can be irritated.